Low Fat, Low Sodium, Nothing artificial, Gluten Free. USDA organic. Product of USA. These are a quick, great snack for those who are wheat sensitive. I use them as a snack/dessert for my 6 year old son who has Celiac Disease. He loves them. The Chocolate ones are good too. he doesn't like the berry ones though. 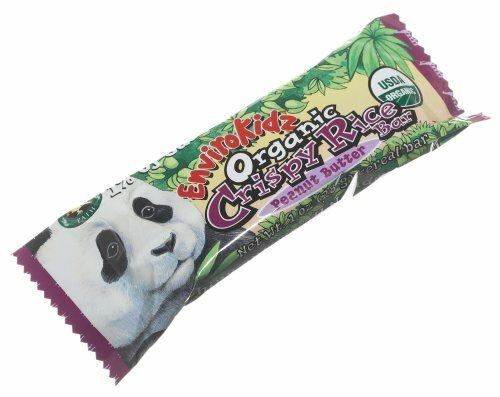 These rice bars are so tasty. They aren't too sweet and it makes me feel good that my child is enjoying a healthy snack. Sadly, I enjoy them as much, maybe more, than my son does. They're great to nibble for a midday snack or if you want to throw them in your bag for a snack on the go. The bars are like a peanut butter flavored rice krispies treat, but with way better ingredients. They sell smaller boxes in the supermarket so you can always try them out before getting this bigger box. The value in the pack of 6 is there if you really enjoy the bars.